The White Lion Trust is a registered NPO/Public Benefit Organisation situated in a protected area of nearly 4,400 acres of endemic bushveld. The land was acquired by the White Lion Trust, which has re-introduced captive bred white lions into their natural habitat in a carefully phased, ground-breaking scientific program. The White Lions have integrated with wild golden lions, and our three prides now roam freely in their ancestral heritage lands. Founded in 2002 by Linda Tucker after nearly ten years of intensive research into both the scientific and cultural significance of the White Lions, the White Lion Trust has built up a strong and consistent record of creating mutual benefits for Lions, Land and People. Under the expert guidance of our Head of Operations, Lion Ecologist Jason Turner, The White Lion Trust continues to bring to the world important scientific data and leads calls for the legal protection of Panthera Leo, particularly the critically endangered sub-species we refer to as The White Lion. The White Lions are a genetic rarity of Panthera Leo and appeared in only one place on earth – in the Timbavati and Kruger regions of the UNESCO-declared Kruger to Canyons Biosphere (K2C). Their conservation significance within this wildlife ecosystem is matched by their cultural value to the Tsonga and Sepedi communities, supported by other indigenous authorities around the globe. Today, however, after six decades of forced removals from their endemic habitat, most White Lions are held captive in zoos and circuses worldwide. Commercial trophy hunting of lions may be ethically and scientifically indefensible, but legal loopholes mean that it is still practiced right here on our borders. Lions – including White Lions – may be commercially hunted in their natural habitat or, even worse, speed bred in captivity to become victims of the notorious “Canned Hunting” industry. Right now, there are hundreds of White Lions in captivity but less than 13 in the wilds of their endemic habitat. 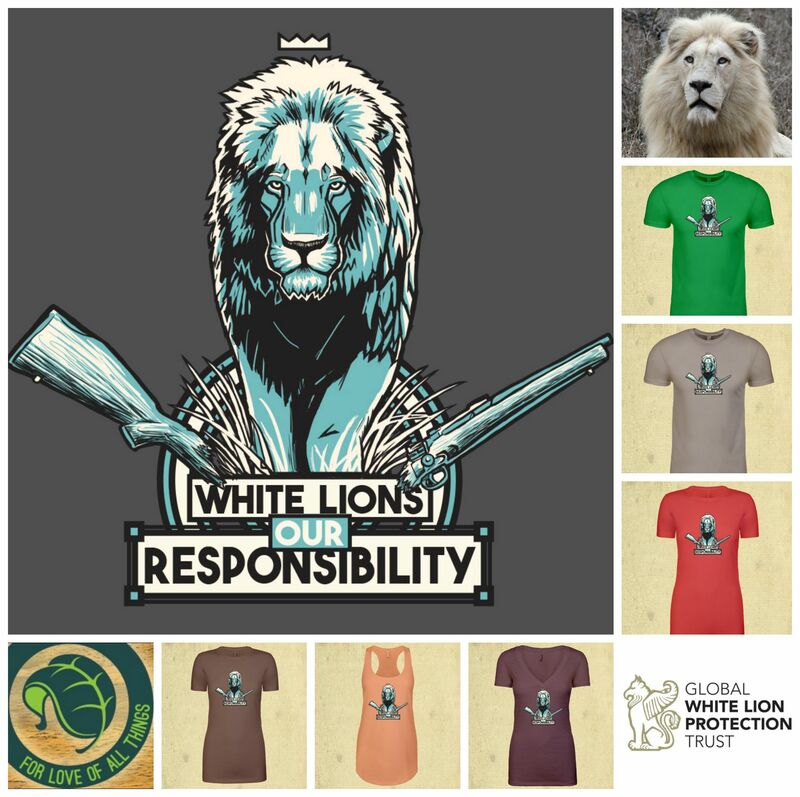 Over the course of two decades, The White Lion Trust has implemented a multi-level strategy which celebrates culture, advances social learning, uplifts the local living economy and revives the biodiversity and dignity of human life and wildlife. This LionHearted Leadership model is inspiring revival beyond mere survival. It is partnering with like-hearted people and organisations to restore health and prosperity to the human world as well as abundance and security to the natural kingdom. Whether this means upgrading our fencing system to protect the White Lions and other animals under our guardianship from persistent poachers, acquiring more land for the benefit of our prides, supporting local education programs or developing innovative observation and tracking systems for the daily scientific research that is so intrinsic to our project, we strive always for excellence knowing that the work we do is essential for the ultimate survival of our entire ecology. We’re proud to be partnering with PAL (Protecting African Lions) who are donating ALL the proceeds from their iconic bracelets to the White Lions. We have successfully re-introduced 3 prides of white lions into their endemic habitat. Now come and meet them….